HYDERABAD: Friends and associates of George Reddy, founder of the Progressive Democratic Students Union and a student leader, recalled their association with him at the 40th death anniversary meeting held here on Saturday. A brilliant scholar and a charismatic leader, George Reddy, who left an indelible impression on revolutionary politics among students, was murdered on this day forty years ago on the Osmania University campus. He was a gold medallist in physics and a boxer. 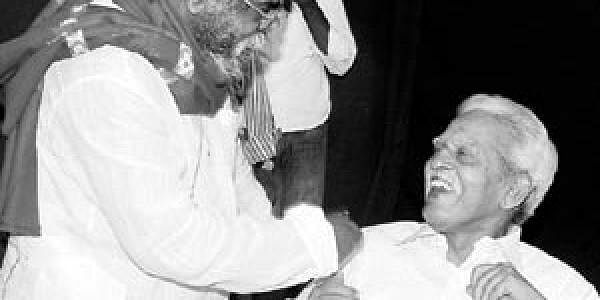 Janasakthi leader Kura Rajanna, who is also a friend of George and spent about three years with George before his death, said, “George is AP’s Che Guevara as he was the only leader in the state to motivate youngsters to join the movements against discrimination and inequality in the society.” ‘’George was inspired by many movements across the world like the emerging Black Panthers movement in the US, the Vietnamese people’s struggle against US imperialism and the peasant uprisings in Naxalbari and Srikakulam,&quot; he said. A businessman and a friend of George, Chalapathi Rao said, “He was an altruist, a fearless person and use to respond to ten questions at a time. George is a source of inspiration for all generations.” A 20-minute documentary ‘Crisis on the Campus’ on George Reddy’s life made by Aswini Kumar was screened, and a book named ‘Reminiscences of George Reddy’ written by Aswini Kumar was also launched on the occasion. Revolutionary poet-writer Varavara Rao, Telugu film director and producer Tammareddy Bharadwaja and several others attended the meeting.